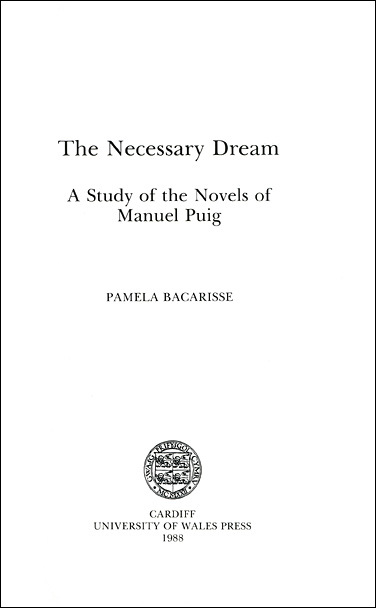 Manuel Puig is one of the great talents of the so-called ’Post-Boom’ in Latin-American literature. Well known for his Kiss of the Spider Woman (El beso de la mujer araña), Puig has achieved success with his novels and plays both in academic circles and with the general public. This is the first book in English to present an interpretation of all seven of his novels. Each novel is discussed in a separate chapter and the homogeneity behind the varying formats is analysed to indicate common themes and attitudes, with recourse to fields such as psychology, feminism, Argentine politics, myth, Camp and popular culture. The book is aimed at students and teachers of Latin-American literature. All quotations are given in Spanish with an English translation.